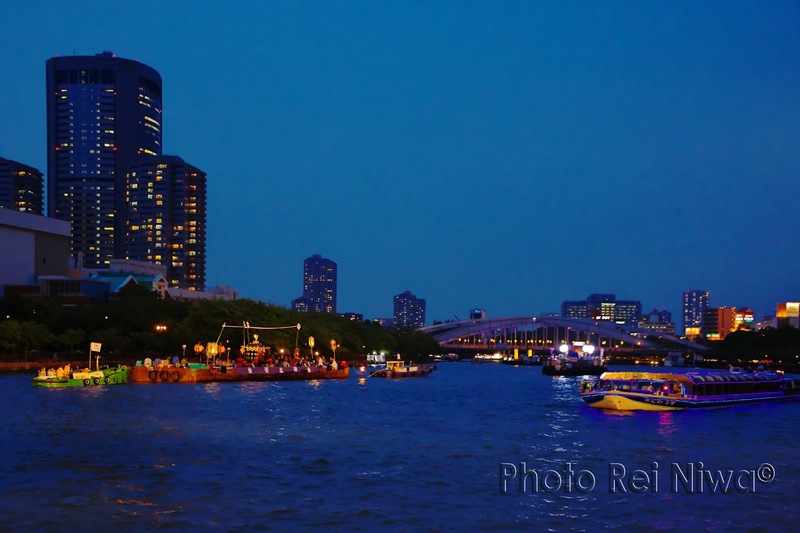 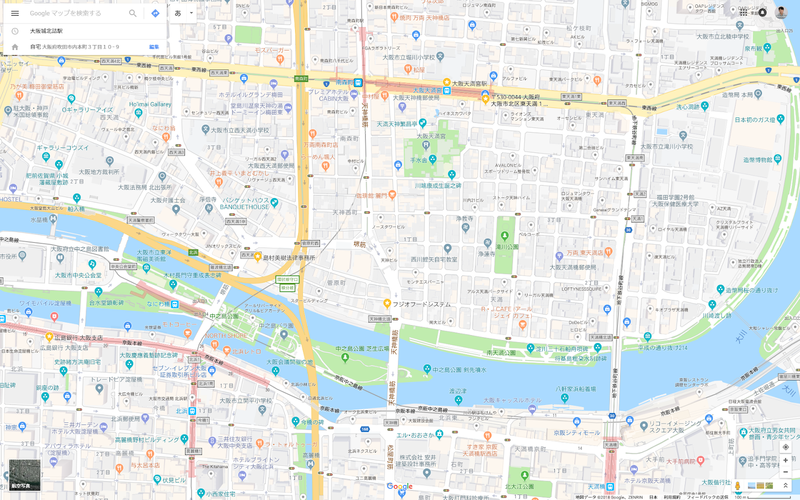 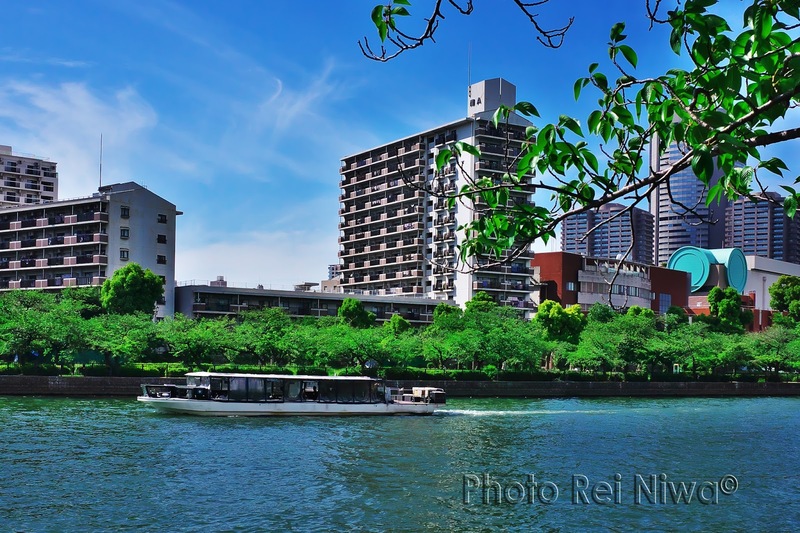 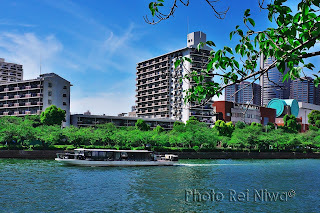 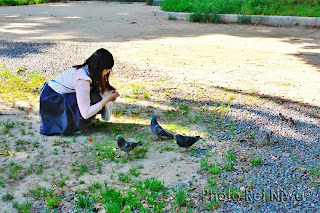 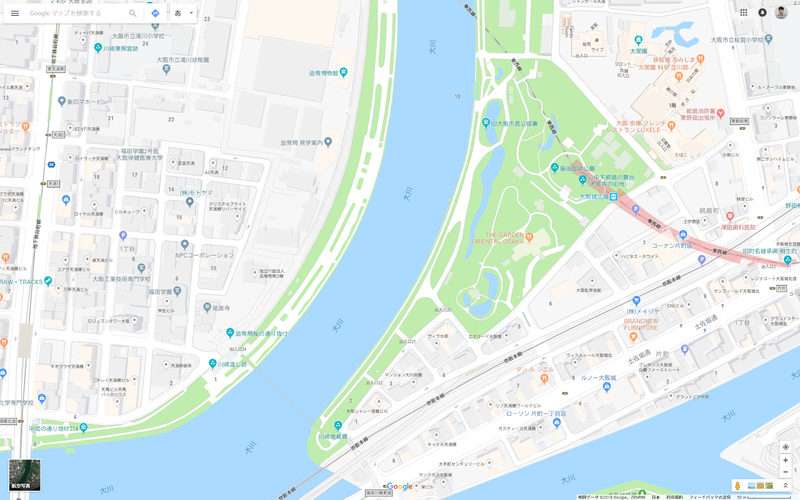 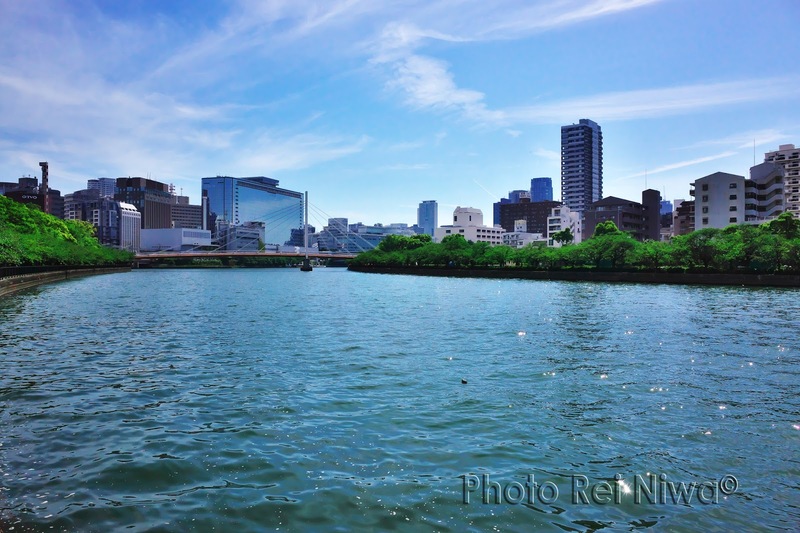 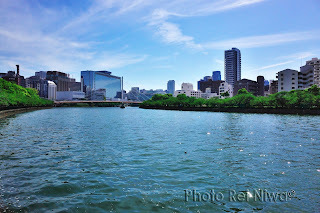 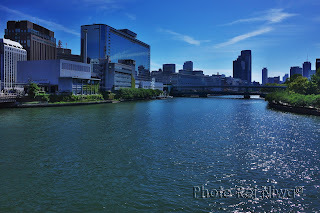 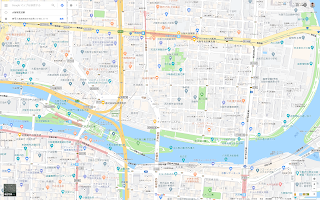 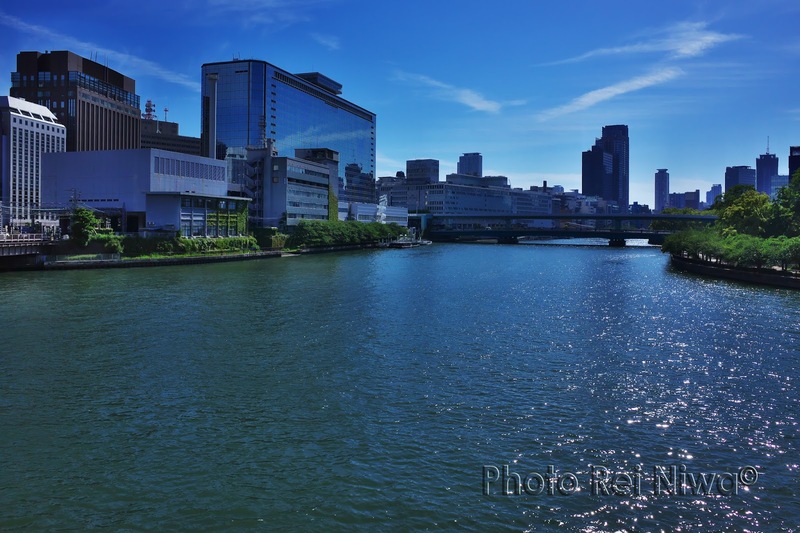 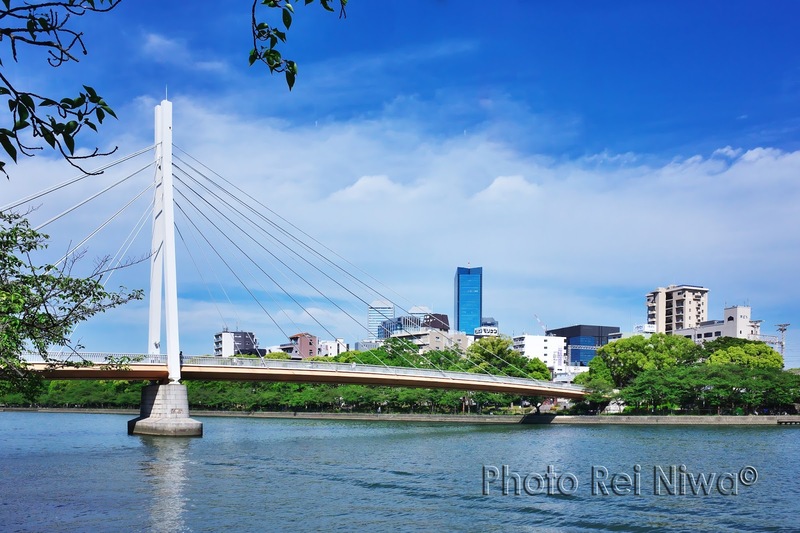 There are some city park along Okawa River in Osaka-City. 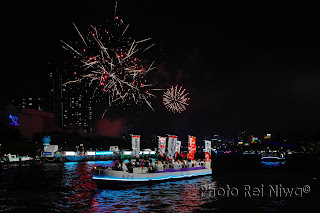 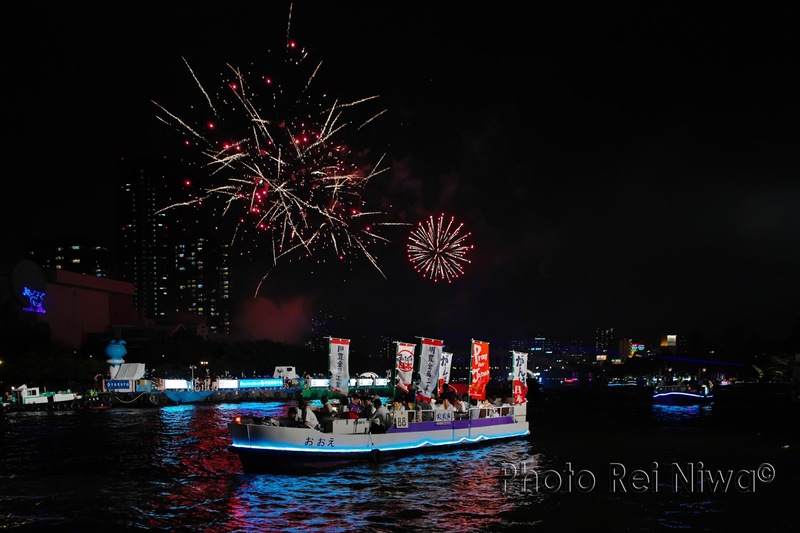 I often come here in a period of the Tenjin festival every years. They say this area as "Sakuranomiya", because that is famous for beauty of cherry blossoms. 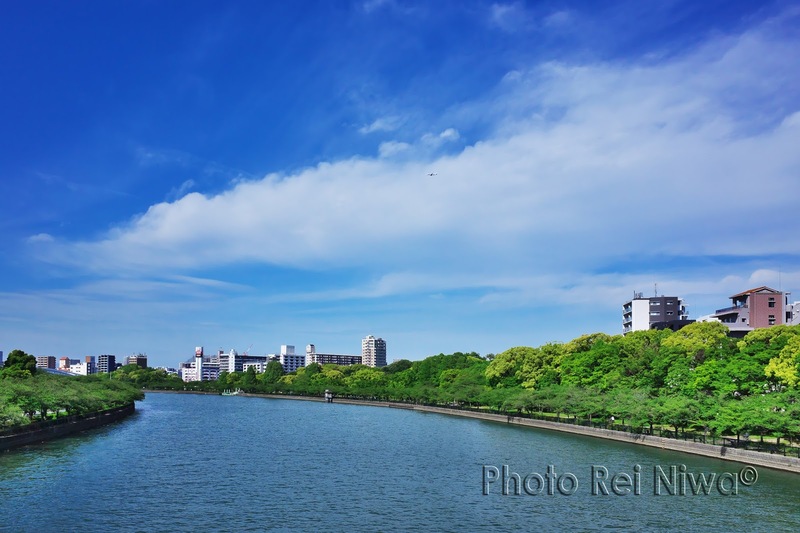 And now, it is famous for "Cherry blossom walkthrough of the Osaka Mint" in the late spring. 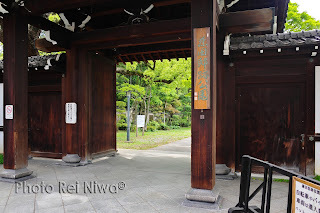 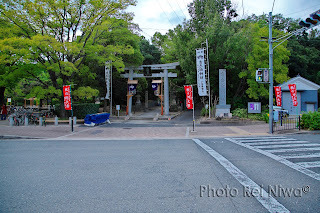 I got off at JR Osakajo Kitazume Station, then I went to the Old Fujita residence park. 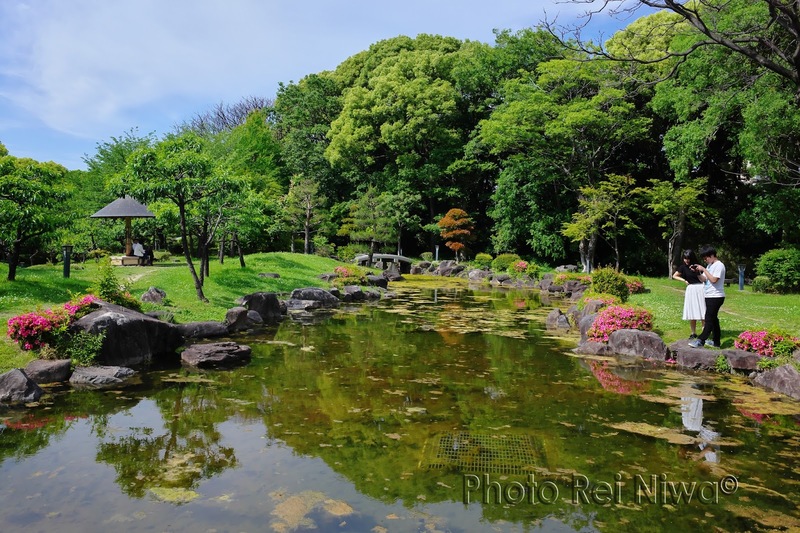 This park is be the very large house trace which there had been main house of Fujita financial combines from Meiji era to World War II. There were a Japanese garden, I thought that here had been very beautiful place in old time. 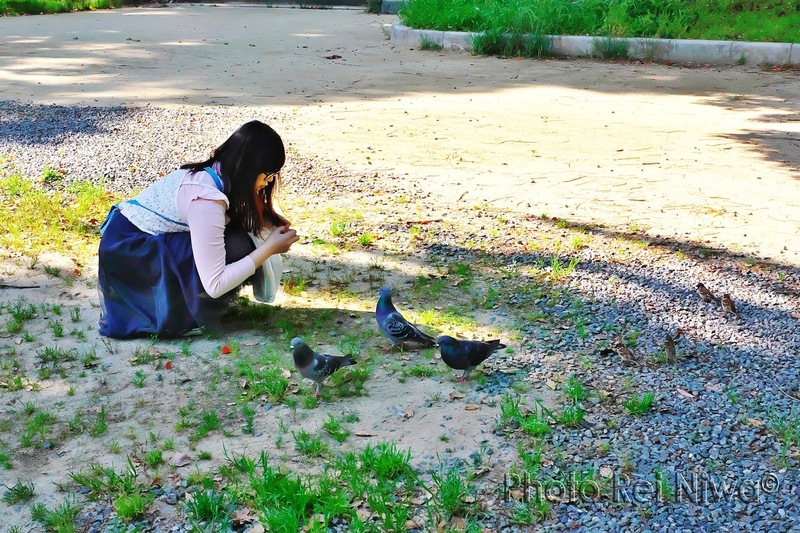 I met little girl with her father, they were playing the soap bubbles. 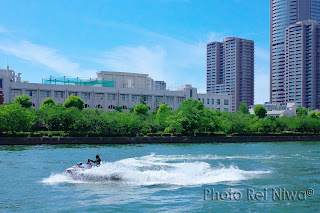 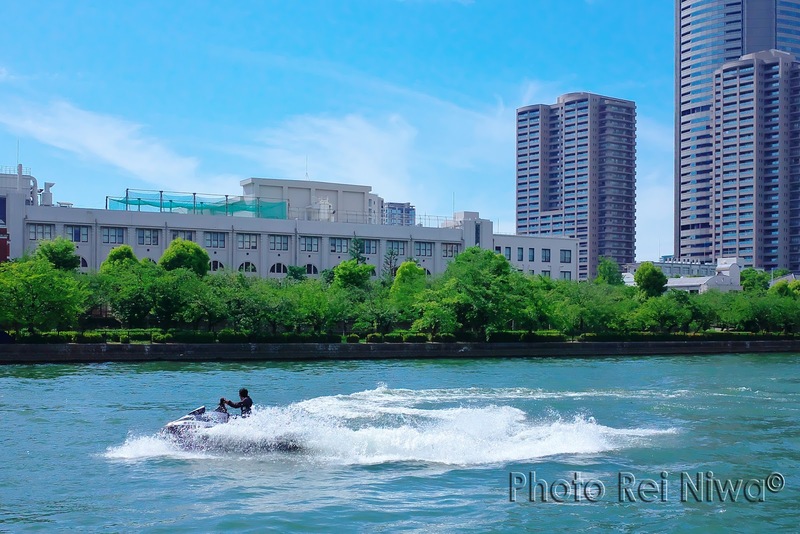 Then I went to river side of Okawa, and I saw the Jet Ski player and the pleasure boat of the surface of a river. 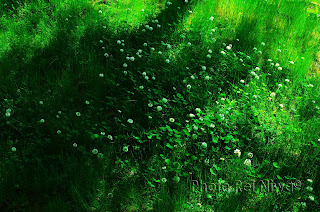 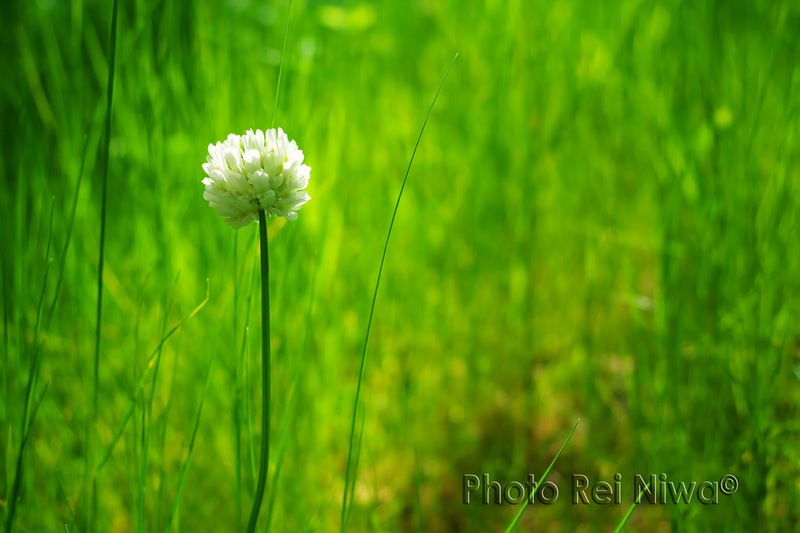 I watched the beautiful sunlight in the grass, when I walked on the riverside road. 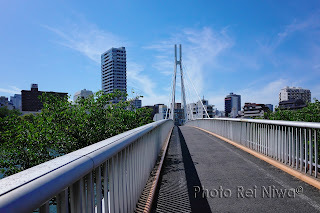 After that, I looked the Kawasaki Bridge. 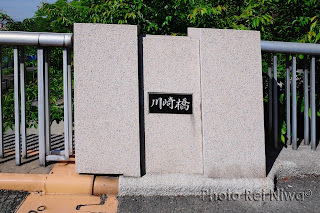 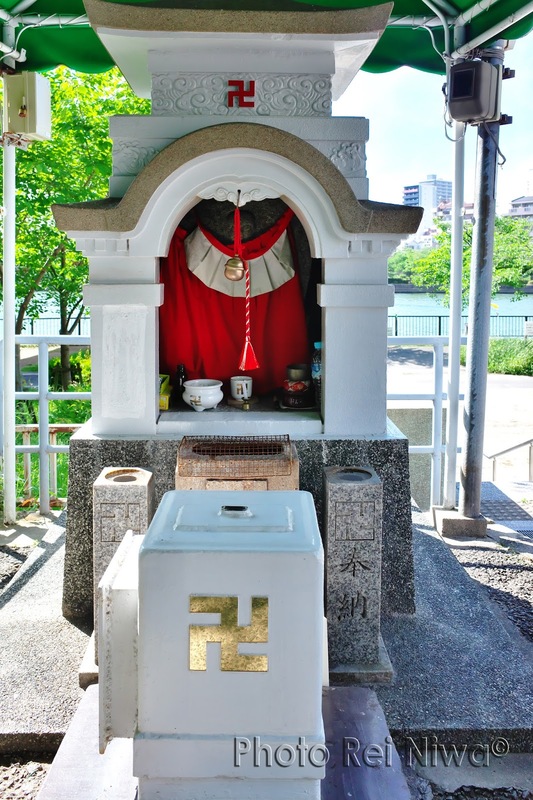 There is a Kawasaki Jizo at the south end of the Kawasaki Bridge, after I prayed, I went to that bridge. 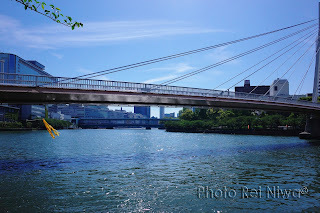 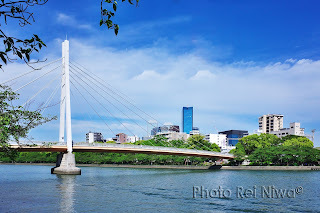 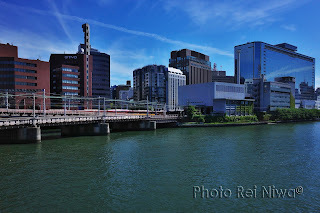 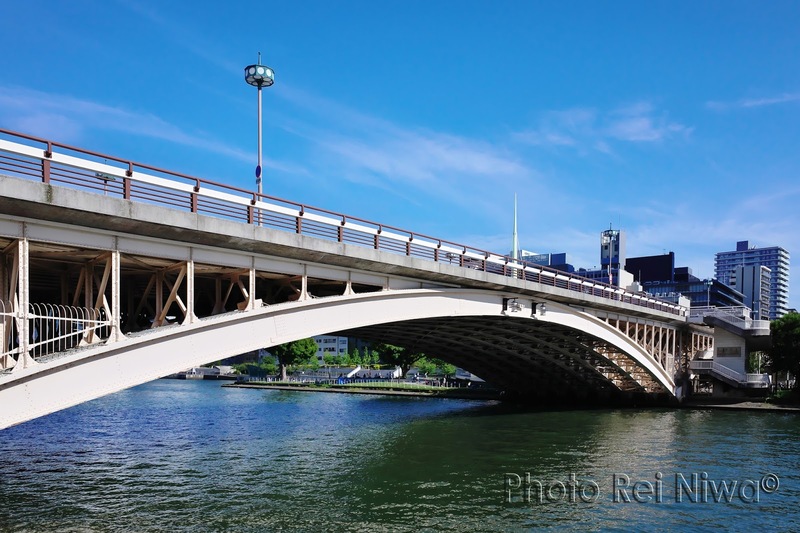 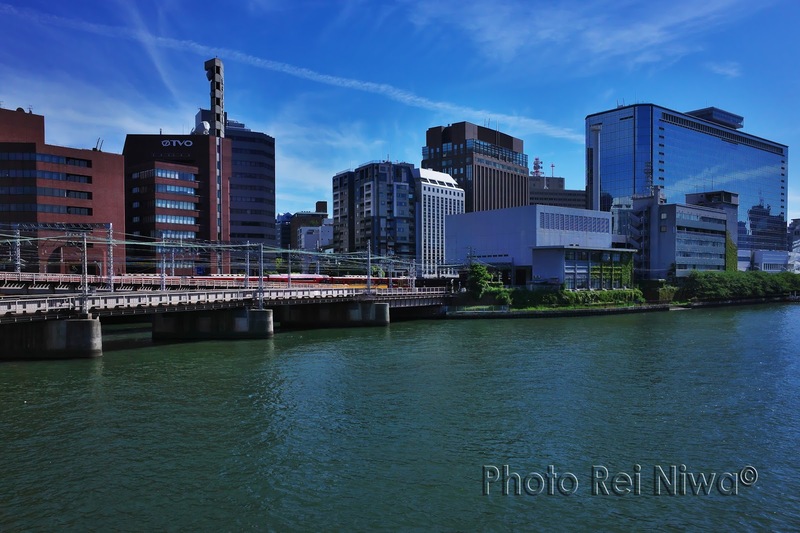 I saw a view of Sakuranomiya to east side and view of Temma Bridge to west side from the middle of that bridge. After I reached Temma area, I walked on north side of Okawa to west. After pass the bottom of the Temma Bridge, I reached the Minami-Temma Park. 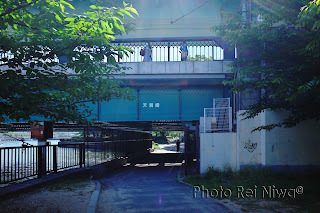 And I met brothers with their mother in that park, and I played together for a while (unfortunately I forgot photography). 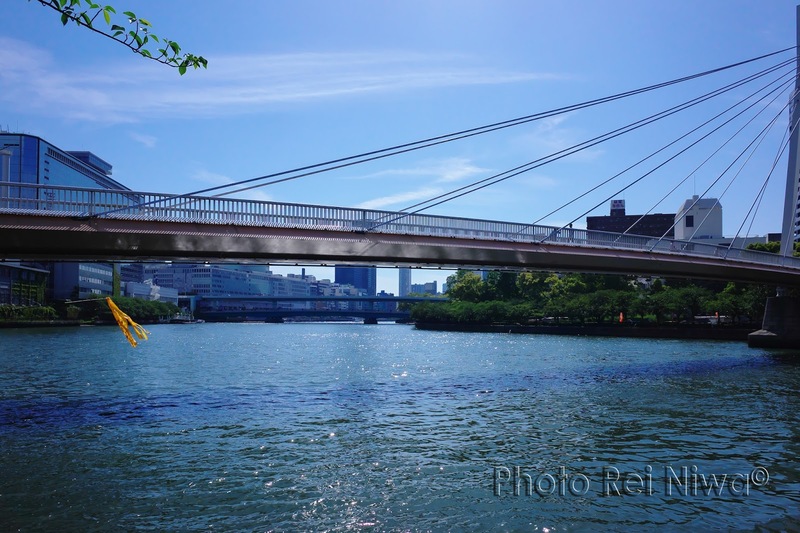 After few minutes, I reached the Tenjin Bridge that was the end of this walking.